Philadelphia death metal collective Horrendous are back with album number four, Idol, and a lot of hype to live up to. Ecdysis and Anareta charted especially well during their years of release, drawing comparisons to Dutch legends Pestilence, with a particular focus on Damian Herring’s propensity of sounding like Martin Van Drunen. Much like the bands they have drawn comparisons to, Horrendous have also become markedly more progressive with bassist Matt Knox being the key culprit, possibly for listening more closely to Steve DiGiorgio, Tony Choy or even Sean Malone. “Idolator” serves the role of title track here and it features the continued sounds of the previous two albums while adopting things you would have heard on Symbolic, Focus and Spheres. 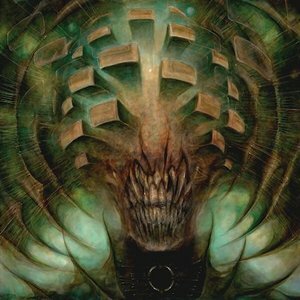 Yes folks, Horrendous are evolving and it is quite fun to see where they are taking a sound that has already seen them tour nationally on the Decibel Magazine tour. Perhaps the band’s most ambitious foray into uncharted territory is “Divine Anhedonia,” which features bass very high in the mix, and very odd time signatures to top it all off, before settling back into their chunky riffing and guitar pyrotechnics, this could have been a b-side to Testimony of the Ancients. Props to the band for shouting “Exodus!” at the top of “Devotion (Blood For Ink)” in an ode to one of the Bay Area’s thrash metal pillars. The bassist is actually Alex Kulick, as Matt Knox plays guitar and sings. and I believe Damian is shouting “Emptiness” not “Exodus” on Devotion.